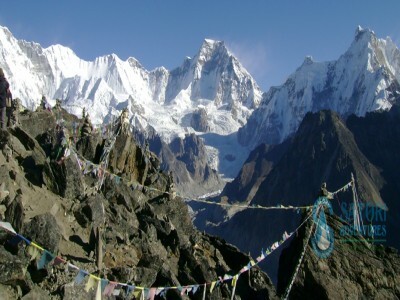 The 9th British Expedition led by John Hunt, with Hillary, Tenzing Sherpa and George Lowe in the team, first explored Jiri back in 1953 before the successful climb of the Everest. 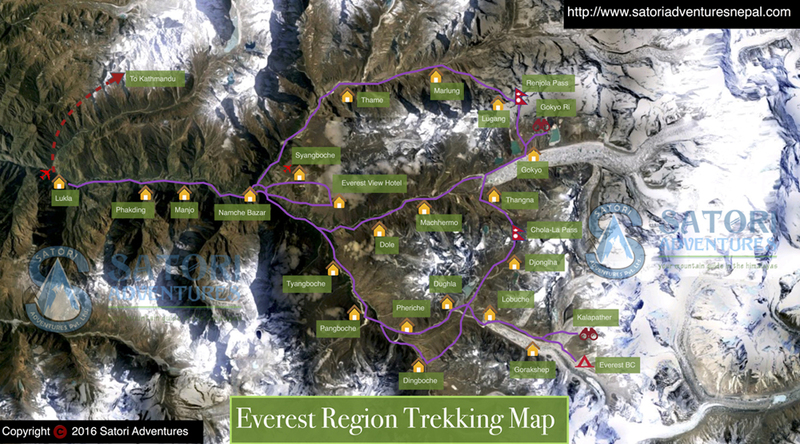 It is the classical trekking route to the heart of Everest Region. 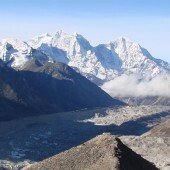 The trek to Everest Base Camp via Jiri assimilates ultimate adventure experiences in the Himalaya. 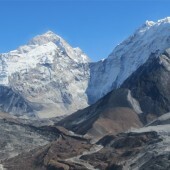 The route follows the traditional route taken by the early Everest expeditions and still serves as main artery to Everest region, where still the road has not reached. 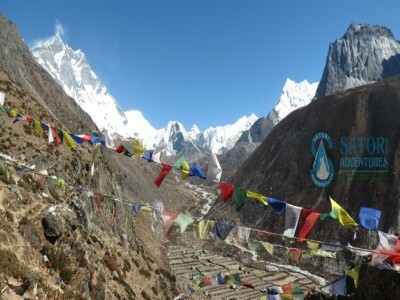 Known as the Solu-Khumbu, it is the home of the 'Sherpas'. This relatively tiny society of 8,000 people is the best known and most admired of all Nepal's ethnic groups. According to their oral history 'Sherpas' migrated to the high valleys south of Mt. 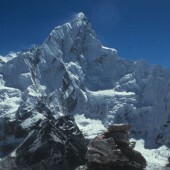 Everest from Eastern Tibet about 450 years ago, hence are called the Sharpas or the peoples of the Himalaya. Jiri to Everest Base Camp trek starts after the 07-08 hours drive from Kathmandu to Bhandara via Jiri. During your drive your will enjoy the views of Koshi River and panoramic views of the eastern Himalaya including Ganesh Himal, Langtang Lirung and Dorjee Lakpa. Trekking through the Sherpa villages will let us explore the local lives, share the joy and happiness of Sherpa and other local communities and their generous hospitality. 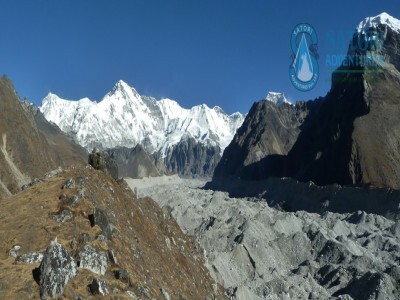 The trekking itinerary has been designed in such a way that the trekkers will get the proper acclimatization. The trek takes us through the alpine forest, glacial rivers. The views are gorgeous, and walking in the Himalayas proves to be quite an intense experience. 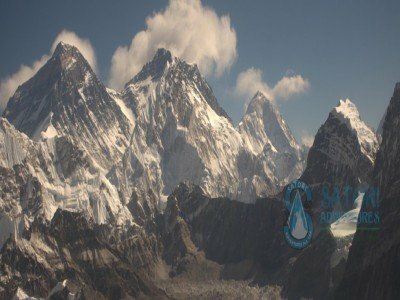 The major places of these treks are Set, Junbeshi, Nunthala, Bupsa, Ghat, Surkhe, Phakding, Namche Bazar, Tyangboche, Dingboche, Lobuche, Everest Base camp,Kalapathar, Gorakshep. 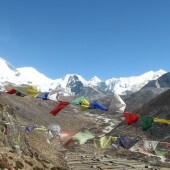 The trek offers magnificent views of various mountains including Mount Everest, Amadablam, Cho Oyu, and Shishapangma. 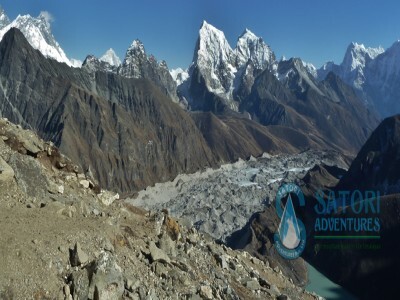 Our standard 22 days Jiri to Everest base camp trek is a great adventure trek for those travelers who are physically fit, in good health condition and want to enjoy the different cultures at Solu Khumbu Region. The itinerary could be tailor made as per the requirements. 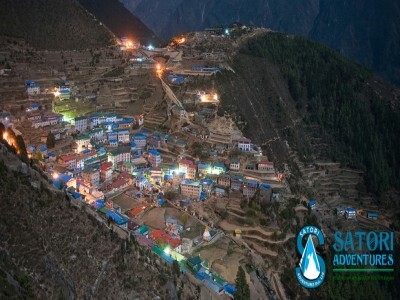 You may also trek to Everest Base Camp in short time by taking the option of fly in / out of Lukla for 12 days. Day 02:Drive from Kathmandu to Bhandara via Jiri (1905m/6,248ft, 10 hrs drive) Lodge Accommodation. Day 03:Trek from Bhandara to Sete (2575m/8,446ft, 06-07hrs) Lodge accommodation. Day 04:Trek from Sete to Junbesi (2670m/8,758ft, 06-07hrs) Lodge accommodation. Day 05:Trek from Junbesi to Nunthala (2220m/7,282ft, 07-08hrs) Lodge accommodation. Day 06:Trek from Nunthala to Bupsa (2360m/7,741ft, 06-07hrs) Lodge accommodation. Day 07:Trek from Bupsa to Surke (2290m/7511ft, 05-06hrs) Lodge accommodation. Day 08:Trek from Surke to Phakding (2,652m/8,699ft, 05-06 hrs) Lodge accommodation. Day 09: Trek from Phakding to Namche Bazaar (3440m/11,310ft, 06-07hrs) Lodge accommodation. 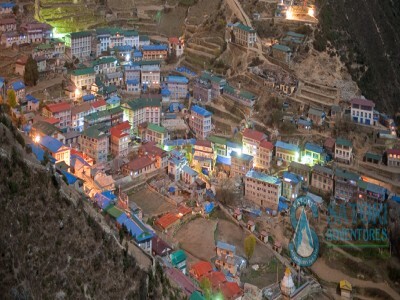 Day 10: Acclimatization Day,Hike to Everest view hotel (3800m/12468ft) for sunrise or panoramic view of Everest Lhotse face, after lunch explore Sherpa and Hilary museum at modern village of Namche. Day 11: Trek from Namche Bazaar to Tyangboche(3860m/12665ft ,05 hrs) Lodge accommodation. Day 12: Trek from Tyangboche to Dingboche (4250m/13943ft, 5 hrs walks) Lodge accommodation. Day 13: Acclimatization Day at Dingbotche, Hike to chhukung (4750m/15584ft.) 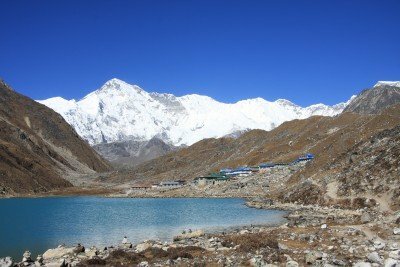 for better acclimatization before climbing up to Kalapatther and Everest base camp. 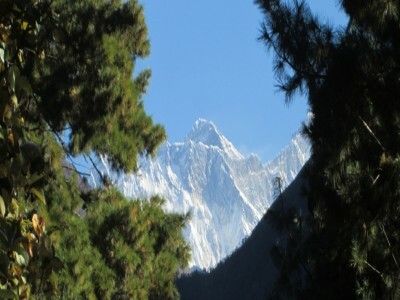 Day 15: Trek from Lobuche to Gorakshep (5170/16962ft- EBC(5200m/17056 ft)- Gorakshep, 05hrs) Lodge accommodation. Day 20: Fly from Lukla to Kathmandu (1350m/4430ft) Transfer to Hotel. Day 21: Free day at Kathmandu for shopping and explore around Thamel, farewell dinner with culture program In the Evening. Day 22: Drop to airport for final departure, or Join alternative activities. Schedule Flight Tickets for Lukla - Kathmandu sector both members and involved trekking staff. Request mode of transportation from Kathmandu-Bhandara via Jiri (we have Local bus and Private vehicles) as per Itinerary for group and staff. 3 meals a day (Breakfasts, Lunch and Dinners ) along with available tea house/Lodge/ Guest house during trekking at twin sharing basis. All wages, equipment, medical and accidental Insurances for all involved trekking staff. Warm Down jacket and four seasonal sleeping bag will be provided during the trekking(down jacket and sleeping bag are to be returned after trip achievement). Satori Adventures duffel bag and t-shirt. All necessary paper works, office Service charge and Government Taxes. complete Pre-departure information, flight ticket reconfirmation and extend visa service (if necessary). Tea Coffee, hot and cold drinks, hot shower. Hi All, Me and a big group of friends (15 pax) was trek to EBC via classic route across Chola Pass. Apart of the magnificent view along the long trail, I was impressive on our agency Satori Adventures. Head guide and all porters had delivered us their friendship, hospitality and even more. I had notice their well organize, professional way to solve either small to a serious problem until the whole group reach to our dram destination and trek along the way safely and happily. A very good communication to explain and discuss in any issue is always done. This perfect trip with be sitting long and long time in my memory. I'm so happy I choose Satori Adventure to my trekking to EBC. Everything was so well organised. They were waiting for me at the airport, took me the hotel, i always got proper information what is the next checkpoint. They arranged everything. On the hike they were taking care of us (especially the altitude sickness topic) so we felt ourself in 100% safe. We were served maximally. Our flight was cancel from Lukla to Kathmandu (cloudy weather), but with the Satori help they arranged me helicopter flight to take me down. I can't imagine how i could arrange it without their help (I organised several trip for me, but here in Nepal it's harder). They provided sleeping bag, duffel bag ... everything was perfect. Thanks Satori!